The new version introduces support for the recently released macOS 10.14 Mojave and is offered as a free update to licensed users. While Package Central is fully compatible with the new Dark Mode, the app currently preserves its original appearance. A dark appearance will be introduced in the future. Under the Package Central workflow, production artists, prepress operators and designers simply submit files to watched hot folders that reside on a network. The software automatically collects InDesign files along with their fonts and links, thus freeing user's time for important tasks such as design and layout. Package Central can be purchased for $149.95(USD) from Zevrix website, as well as from authorized resellers. Trial is also available for download. 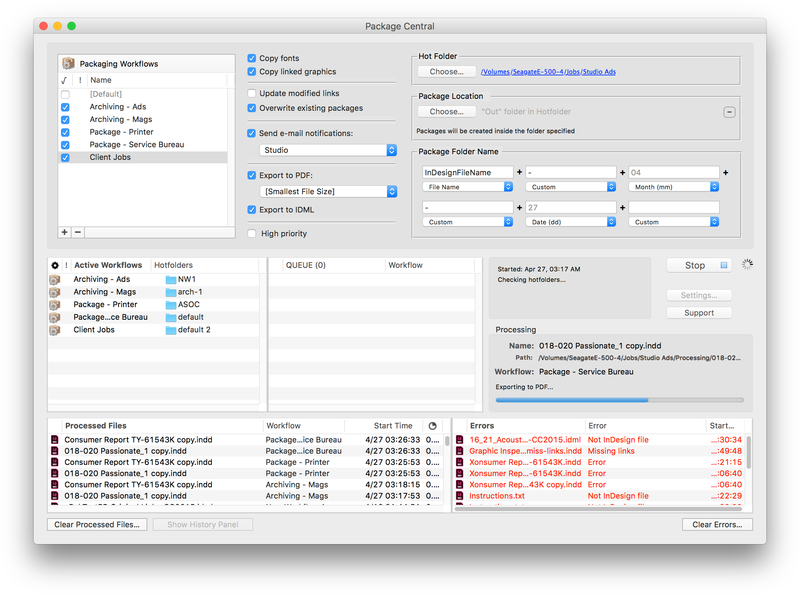 Package Central requires macOS 10.7-10.14 and Adobe InDesign CS5-CC 2018.